Two well-known factors come together – the well understood benefits of stainless steel and the proven design/engineering technologies of EMKA in our range of specialist latches and locks for industrial cabinets and enclosures. 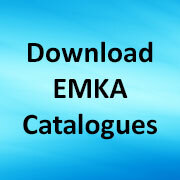 EMKA expertise enables the corrosion-resistance and ultimate strength of stainless steel to be developed into the robust longevity of these locking products. Our stainless steel components therefore enable engineers to “fit-and-forget”, their designed-for-purpose high quality designs mean that these products save time and replacements costs over their lifetime. 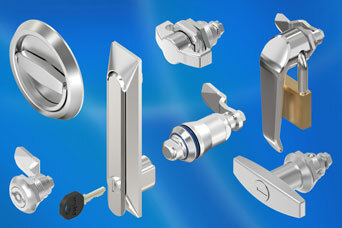 Our stainless steel locks and latches program includes quarter-turns, hygiene/wash-down locks, conventional L and T handles, space-saving swinghandles and rod mechanisms, compression locks, safety locks (vibration proof with built-in cover to exclude dirt), ring handle, wing knobs, padlockable handles and heavy duty latches. Share the post "Specialist stainless steel cabinet and enclosure latch/locks"